Draft: 2011, New York Yankees, 24th rd. November 2, 2018 LHP Matt Tracy elected free agency. September 1, 2018 Buffalo Bisons activated LHP Matt Tracy from the 7-day disabled list. August 23, 2018 Buffalo Bisons placed LHP Matt Tracy on the 7-day disabled list. July 1, 2018 LHP Matt Tracy assigned to Buffalo Bisons. June 19, 2018 sent LHP Matt Tracy on a rehab assignment to GCL Blue Jays. February 26, 2018 LHP Matt Tracy assigned to New Hampshire Fisher Cats. February 25, 2018 Toronto Blue Jays signed free agent LHP Matt Tracy to a minor league contract. November 6, 2017 LHP Matt Tracy elected free agency. September 20, 2017 Chattanooga Lookouts activated LHP Matt Tracy from the 7-day disabled list. August 29, 2017 Chattanooga Lookouts sent LHP Matt Tracy on a rehab assignment to GCL Twins. July 6, 2017 Chattanooga Lookouts placed LHP Matt Tracy on the 7-day disabled list. Torn right meniscus. June 29, 2017 LHP Matt Tracy assigned to Chattanooga Lookouts from Rochester Red Wings. June 23, 2017 LHP Matt Tracy assigned to Rochester Red Wings from Chattanooga Lookouts. June 19, 2017 LHP Matt Tracy assigned to Chattanooga Lookouts from Rochester Red Wings. June 11, 2017 LHP Matt Tracy assigned to Rochester Red Wings from Chattanooga Lookouts. April 2, 2017 LHP Matt Tracy assigned to Chattanooga Lookouts from Rochester Red Wings. March 13, 2017 LHP Matt Tracy assigned to Minnesota Twins. January 6, 2017 Minnesota Twins signed free agent LHP Matt Tracy to a minor league contract. January 6, 2017 LHP Matt Tracy assigned to Rochester Red Wings. November 7, 2016 LHP Matt Tracy elected free agency. October 5, 2016 LHP Matt Tracy assigned to Bravos de Margarita. July 1, 2016 LHP Matt Tracy assigned to Jacksonville Suns from Jupiter Hammerheads. June 28, 2016 LHP Matt Tracy assigned to Jupiter Hammerheads from Jacksonville Suns. June 23, 2016 Miami Marlins signed free agent LHP Matt Tracy to a minor league contract. June 23, 2016 LHP Matt Tracy assigned to Jacksonville Suns. June 3, 2016 Trenton Thunder released LHP Matt Tracy. March 10, 2016 LHP Matt Tracy assigned to New York Yankees. August 28, 2015 LHP Matt Tracy assigned to Trenton Thunder from Scranton/Wilkes-Barre RailRiders. August 27, 2015 LHP Matt Tracy assigned to Scranton/Wilkes-Barre RailRiders from Trenton Thunder. June 28, 2015 LHP Matt Tracy assigned to Trenton Thunder from Scranton/Wilkes-Barre RailRiders. June 18, 2015 LHP Matt Tracy assigned to Scranton/Wilkes-Barre RailRiders from Trenton Thunder. June 11, 2015 LHP Matt Tracy assigned to Trenton Thunder from Scranton/Wilkes-Barre RailRiders. June 4, 2015 New York Yankees sent Matt Tracy outright to Scranton/Wilkes-Barre RailRiders. April 22, 2015 New York Yankees claimed LHP Matt Tracy off waivers from Miami Marlins. April 22, 2015 New York Yankees optioned LHP Matt Tracy to Scranton/Wilkes-Barre RailRiders. April 21, 2015 Miami Marlins designated LHP Matt Tracy for assignment. April 20, 2015 Matt Tracy assigned to Jupiter Hammerheads from New Orleans Zephyrs. April 18, 2015 Miami Marlins claimed LHP Matt Tracy off waivers from New York Yankees. 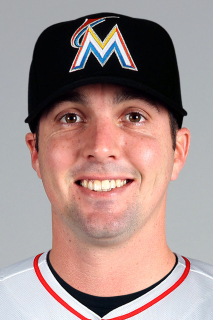 April 18, 2015 Miami Marlins optioned LHP Matt Tracy to New Orleans Zephyrs. April 12, 2015 New York Yankees designated LHP Matt Tracy for assignment. April 11, 2015 New York Yankees selected the contract of LHP Matt Tracy from Scranton/Wilkes-Barre RailRiders. March 6, 2015 LHP Matt Tracy assigned to New York Yankees. July 16, 2014 LHP Matt Tracy assigned to Scranton/Wilkes-Barre RailRiders from Trenton Thunder. July 10, 2014 LHP Matt Tracy assigned to Trenton Thunder from Scranton/Wilkes-Barre RailRiders. July 9, 2014 LHP Matt Tracy assigned to Scranton/Wilkes-Barre RailRiders from Trenton Thunder. May 27, 2014 LHP Matt Tracy assigned to Trenton Thunder from Scranton/Wilkes-Barre RailRiders. May 16, 2014 LHP Matt Tracy assigned to Scranton/Wilkes-Barre RailRiders from Trenton Thunder. April 18, 2014 LHP Matt Tracy assigned to Trenton Thunder from Staten Island Yankees. April 16, 2014 LHP Matt Tracy assigned to Staten Island Yankees from Trenton Thunder. September 18, 2013 Trenton Thunder activated LHP Matt Tracy from the 7-day disabled list. August 1, 2013 Trenton Thunder activated LHP Matt Tracy from the 7-day disabled list. June 13, 2013 Trenton Thunder placed LHP Matt Tracy on the 7-day disabled list. April 4, 2013 LHP Matt Tracy assigned to Trenton Thunder from Scranton/Wilkes-Barre RailRiders. January 31, 2013 New York Yankees invited non-roster LHP Matt Tracy to spring training. September 1, 2012 Matt Tracy assigned to Scranton/Wilkes-Barre Yankees from Tampa Yankees. May 14, 2012 Matt Tracy assigned to Tampa Yankees from Charleston RiverDogs. April 5, 2012 Matt Tracy assigned to Charleston RiverDogs from Staten Island Yankees. June 17, 2011 Matt Tracy assigned to Staten Island Yankees from New York Yankees. June 16, 2011 New York Yankees signed LHP Matt Tracy.